Professor Rocca received his Ph.D. in political science from the University of California, Davis in 2004. He is currently an Associate Professor of political science at the University of New Mexico. 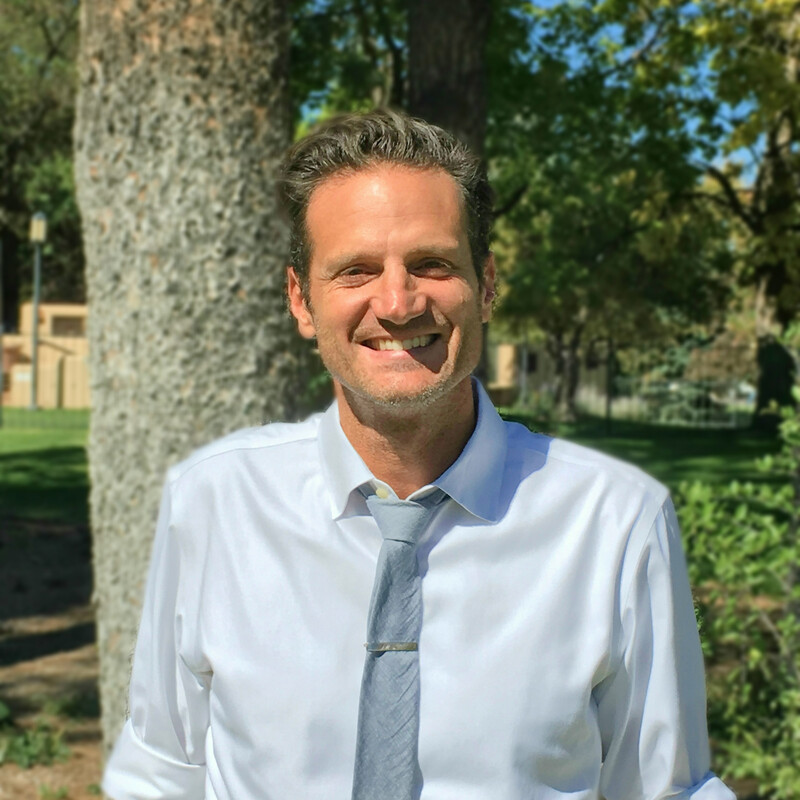 Professor Rocca's subfield is American politics and his primary research and teaching interests relate to American national institutions, particularly the US Congress. Most of his work deals with the politics of congressional position taking and campaign contributions, respectively. Professor Rocca's work appears in The Journal of Politics, Political Research Quarterly, Legislative Studies Quarterly, American Politics Research, Social Sciences Quarterly, Congress and the Presidency and PS: Political Science and Politics. Professor Rocca is an award winning instructor who teaches graduate and undergraduate courses on American politics, the US Congress and the American presidency. He is currently the coordinator of the Political Science Internship Program. Professor Rocca's research can be separated into two separate but related agendas: (1) the politics of position taking in the U.S. Congress, (2) and campaign spending in US elections. The former consists primarily of work aimed at understanding the causes and consequences of position taking in Congress. It includes work on minorities in Congress, foreign policy and legislative participation and effectiveness. The second agenda is a relatively new one. It began with a 2010 publication that examines the link between PAC contributions and position taking. The goal of the study was to determine the value of position taking, a subject ignored by the literature. From there the agenda expanded to a 2013 publication examining money and earmarks in Congress, and a 2015 publication examing the effect of the landmark Supreme Court Citizens United decision on campaign spending. In all, articles appear in Journal of Politics, Political Research Quarterly, Legislative Studies Quarterly, Social Sciences Quarterly, American Politics Research, Congress and the Presidency and PS: Political Science and Politics and one chapter in an edited book at Temple University Press. The report "Crony Capitalism, Corruption and the Economy in the State of New Mexico" written by Mike Rocca and his research team, (Sharif Amlani, Julia Hellwege, and Lisa Sanchez), which "outlines the rise of crony capitalism in the state and puts forth a three-step plan that eliminates corruption and energizes economic growth" was released on January 7th, 2016. The report was written with support from the Center for Economic Development (CED) and the Thornburg Foundation. Upon its release the report was featured in several news outlets around the country, in local editorials and op-eds, and in committee hearings at the Roundhouse. Wendy Hansen and Michael S. Rocca. “The Impact of Citizens Unitedon Large Corporations and Their Employees.” Forthcoming at Political Research Quarterly. Available online at: https://doi.org/10.1177/1065912918793230. 2018. Wendy L. Hansen, Michael S. Rocca and Brittany Ortiz. 2015. “The Effects of Citizens United on Corporate Spending in the 2012 Presidential Election.” Journal of Politics. 77: 535-545. Michael S. Rocca and Stacy Gordon. 2013. “Earmarks as a Means and an End: The Link Between Earmarks and Campaign Contributions in the US House of Representatives.” Journal of Politics. 75: 241-253. Michael S. Rocca, Gabriel Sanchez and Jason Morin. 2011. “The Institutional Mobility of Minorities in Congress.” Political Research Quarterly 64: 897-909. Received Best Paper Award, Political Research Quarterly, 2011. Michael S. Rocca and Stacy Gordon. 2010. “The Position-taking Value of Bill Sponsorship in Congress.” Political Research Quarterly 63: 387-397. Michael S. Rocca. 2009. “9/11 and Presidential Support in the 107th Congress.” Congress and the Presidency 36: 272–295. Michael S. Rocca, Gabriel Sanchez and Joseph Uscinski. 2009. “Congress and Foreign Policy: Congressional Action on the Darfur Genocide.” PS: Political Science and Politics 42: 489-496. Michael S. Rocca, Gabriel Sanchez and Rongal Nikora. 2009. “The Role of Personal Attributes in African American Roll-Call Voting Behavior.” Political Research Quarterly 62: 408-414. Michael S. Rocca and Gabriel Sanchez. 2008. “The Effect of Race and Ethnicity on Bill Sponsorship and Cosponsorship in Congress.” American Politics Research 36: 130-152. Michael S. Rocca, Gabriel Sanchez and Joseph Uscinski. 2008. “Personal Attributes and Latino Voting Behavior in Congress.” Social Sciences Quarterly 89: 392-405. Michael S. Rocca. 2007. “Non-Legislative Debate in the House of Representatives.” American Politics Research 35: 489-505. Michael S. Rocca and Benjamin Highton. 2005. “Beyond the Roll Call Arena: The Determinants of Position Taking in Congress.” Political Research Quarterly 58: 303-316. Michael S. Rocca. 2003. “Military Base Closures and the 1996 Congressional Elections.” Legislative Studies Quarterly 28: 529-550.